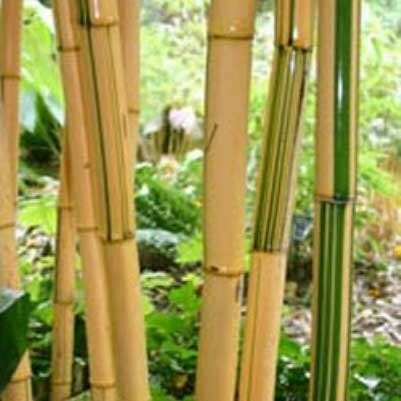 A spectacular large, large growing timbre bamboo with thick rich yellow canes and mid-green leaves. The canes have unusual green markings giving the appearance that they have been randomly painted by a mischievous child. To guarantee success grow in a site protected from high winds, where the colourful canes can be seen throughout the year. This plant is supplied in an approx 10 Litre container at a height of around 150-200cms (4-6ft+), with thick colourful canes for instant garden interest.